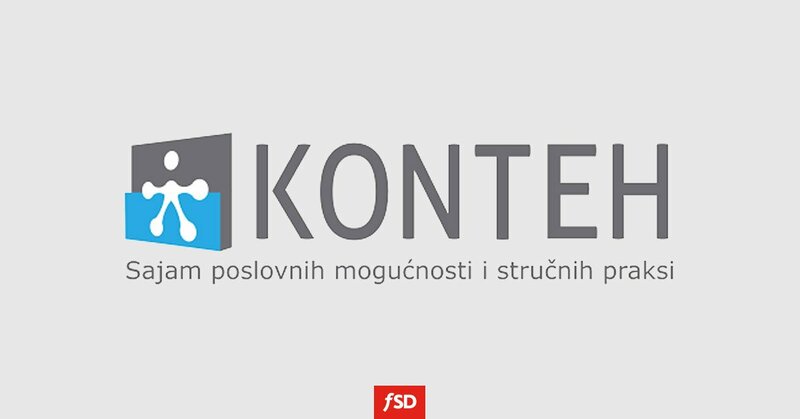 As one of the most progressive and agile IT companies in Serbia, FSD will take part at Konteh, on 22nd and 23rd of March. Konteh connects the companies with two important points for their development: educational institutions and human resources (students or graduates as candidates for the job). Also, during and after the end of Konteh, all interested students and graduates will be able to leave their CV electronically to the Konteh's database. In addition to company presentations, during the Fair in the Conference Hall of the Faculty of Technical Sciences, Konteh will organize discussions and training with the main objective to train young people interested in the job how to properly write a CV and to have a successful job interview. Join us at Konteh, at the Faculty of Technical Sciences in Novi Sad and find out about internship and job opportunities.